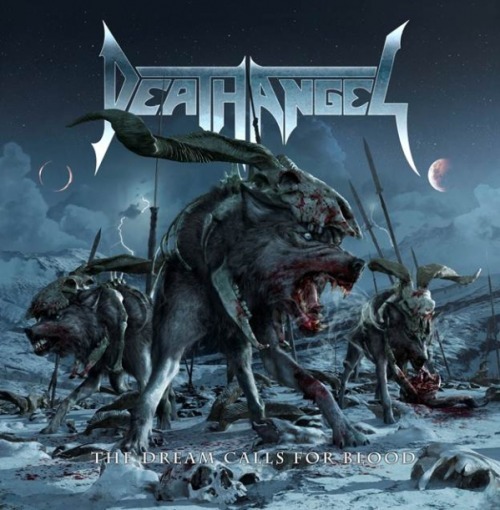 Three years ago, Death Angel released their crushing album Relentless Retribution which in turn led to three years of constant touring and on-the-road songwriting. Now the Bay Area veterans are set to return with their latest slab of brutalising musicianship: The Dream Calls For Blood. We are excited to reveal the track list of our upcoming release, The Dream Calls For Blood. As we speak I’m about to board my flight home from 3 incredible shows in England, Belgium and Holland – after 3+ years of constant touring for our last album, Relentless Retribution. At last the cycle has ended with our insanely hot and wild gig in Rotterdam last night! This means we begin the next phase, which is preparing to tour for the new record; it all kicks off in October! By looking at the song titles I guess it’s obvious that angst and struggle is still a major part of our reality. Thankfully we have this outlet to vent and release aggression. That way we remain the happiest band in Thrash! (laughs) Hope these song titles intrigue you. 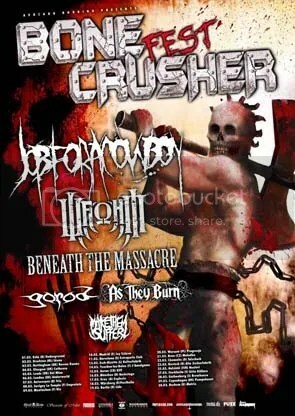 Job For A Cowboy will return to Europe in March to headline this year´s Bonecrusher Fest tour! They’ll be joined by Beneath The Massacre, War From A Harlots Mouth, Gorod, As they Burn and Make Them Suffer. Check out the video for Tarnished Gluttony at this location. Job For A Cowboy today unleash the first of a series of instructional video posts featuring guitar wizard Tony Sannicandro. Dubbed “The Leads Are Weak,” the mini clips offer playing tips and an up-close look at Sannicandro’s astounding skills and technique. 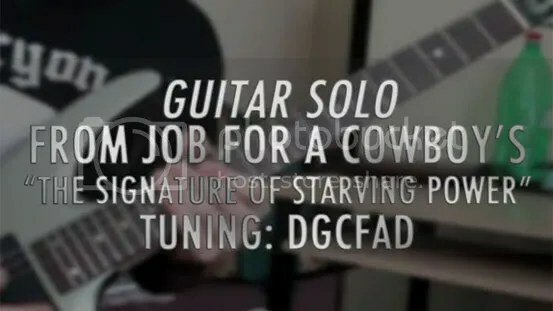 Clip #1 showcases the solo From Signature Of Starving Power off the band’s Gloom EP. To view the clip, head to the official Job For A Cowboy’s Landing Page. 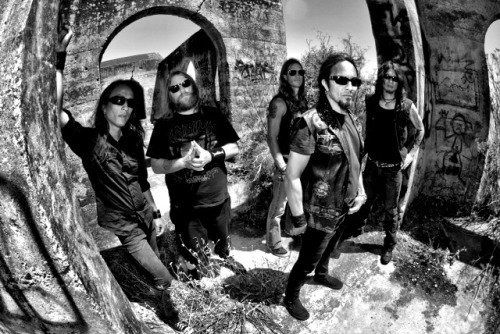 The Arizona death metallers will begin a five-and-a-half week North American road journey as part of the Metal Alliance Tour next week. The live rituals which began on March 15 in Austin, Texas at South By Southwest 2012. 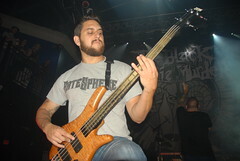 The band are joined by The Faceless, Dying Fetus, 3 Inches Of Blood, Impending Doom, Wretched, and headliners, DevilDriver. 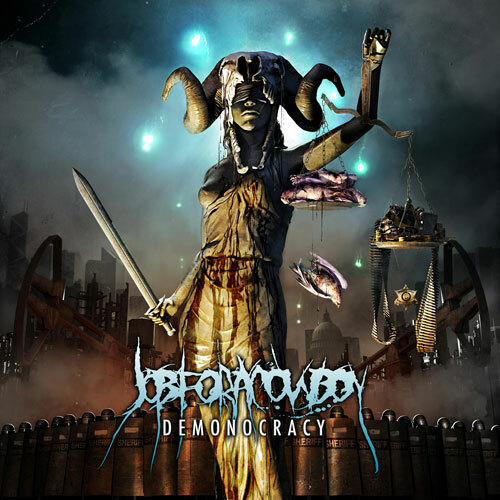 Job For A Cowboy will release their new full-length, Demonocracy, this Spring. Produced by Jason Seucof (Black Dahlia Murder, Whitechapel, Trivium) who recorded the band’s scorching Ruination full-length, at Audiohammer Studios, and featuring the conceptual cover design by artist Brent Elliott White, Demonocracy, will be unearthed to North American fans on April 10, 2012 through Metal Blade Records. THE BLACK DAHLIA MURDER have announced a mammoth 21 date UK tour which kicks off with two shows at The Underworld in London on January 11th and 12th, 2012. Ritual is a collection of 12 tracks that see the band staying true to their sound and style while progressing in both writing and musicianship. Guitarist Ryan Knight has delivered truly searing leads that will without a doubt daze and lay waste the ears of both loyal Black Dahlia diehards and burgeoning fans alike. Music for Ritual was recorded in early 2011 in Detroit, MI with Mark Lewis (Deicide, Unearth) and the band producing with vocals and mixing taking place at Orlando, Florida based studio, Audio Hammer with Jason Suecof (BDM, Beneath the Massacre, Job for a Cowboy, All That Remains).